A little idea I've been plotting for a while now. - you could commit the perfect crime with that - no trace of the weapon, - how did you stop it melting when knapping? 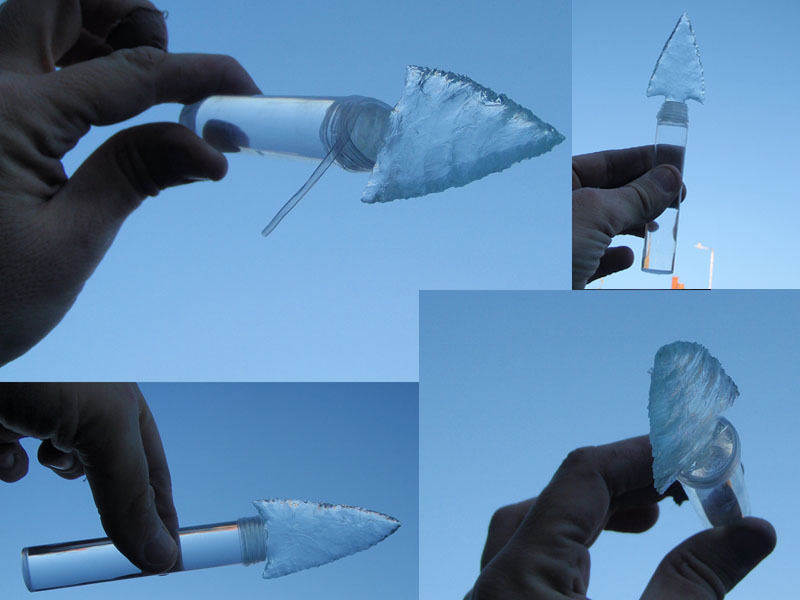 Whoops a bit misleading my original post, should explain, Ice Daggers is just the name, they're made of glass. Grendel wrote: Whoops a bit misleading my original post, should explain, Ice Daggers is just the name, they're made of glass. makes you wonder if you could knap with ice - lol. Is the handle glass, or a clear plastic? Also, that looks like clear fishing line you've used to tie it together. Not quite an ice dagger but an icicle letter opener! This was a Christmas present to my father. 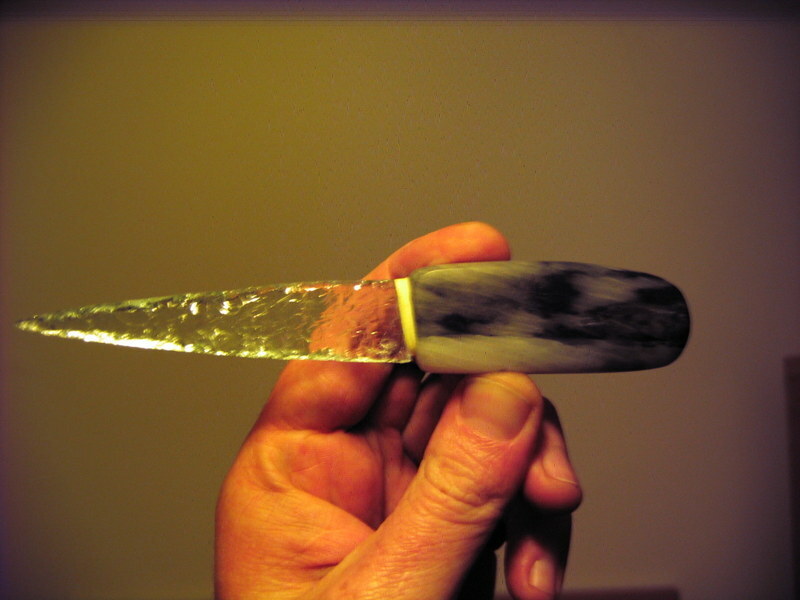 It has a carved soapstone handle drilled out for the knapped clear glass blade. The binding is cotton thread with brushed on thinned P.V.A. to cover the join. Nice, great idea with the soapstone. Lumpendoodle wrote: Is the handle glass, or a clear plastic? Also, that looks like clear fishing line you've used to tie it together. Only just saw this question. The blades are made from magnifying glasses, the handle polymer and the string transparent rubber. Jolly nice.... i've wanted some soapstone to carve for a while now - where did you accquire it from? Wombled! It was a crappy carving from a charity shop! A good source of cheap soapstone. Did you reshape it or polish it yourself? There seems to be plenty of soapstone blanks around very cheap, if they're polishable. Wombling soapstone from charity shops, sweet.